The trucking industry, just like all other industries in today’s world, has become increasingly more reliant on digital technology. The launch of the KeepTruckin App Marketplace is the latest example of this trend. This app store has been created with industry-leading applications to address the needs of fleet operators of all sizes in a digital ecosystem. This includes easy integration with the day-to-day operations of trucking companies and the different systems they have in place. For small trucking businesses, using the resources they have more efficiently is one of the biggest challenges they face. The KeepTruckin App Marketplace looks to provide the tools these companies need to improve operational efficiencies, increase productivity, and save costs. According to Charles Julius, Head of Product, KeepTruckin, the company is going to deliver on those points by teaming up with companies in the trucking industry. In the press release, Julius adds this will expand KeepTruckin’s fleet management solutions to address the growing and evolving needs of its customers. The marketplace has a central platform where drivers and fleet managers will be able to share the data which is recorded by the KeepTruckin platform with other approved third-parties. The company says with just a single click, users can benefit from apps tailored to address the needs of their fleet to improve efficiency, increase visibility, and manage costs. The apps will provide real-time status updates, messaging, and location data (GPS) so dispatchers can track drivers and manage loads. This increased visibility makes it possible to create faster and more efficient ways to match carrier availability between brokers and loads boards. KeepTruckin says it will also save fleet operators money by getting more accurate insurance rates because of all the data being collected from the drivers. Accurate, timely, and reliable information is the hallmark of running a trucking company with a fleet of vehicles. Failure with any one of these capacities means missing deadlines, losing money and or customers. Overcoming these challenges comes down to collecting information and making informed decisions with the data. KeepTruckin has a suite of products to help fleets gather and make sense of the data. 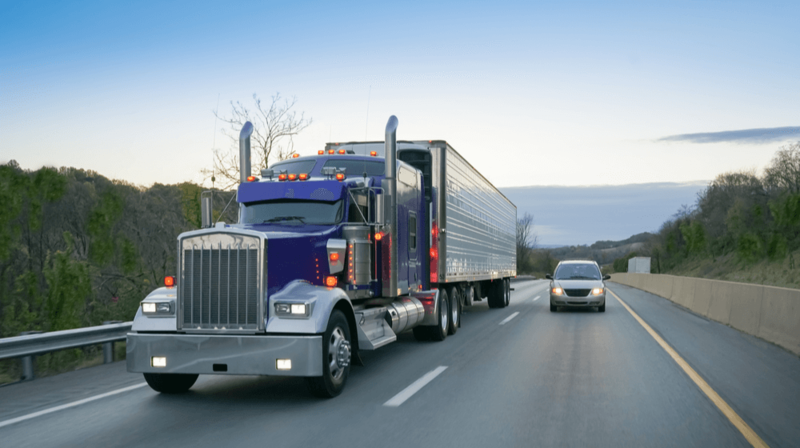 More than 50,000 fleets across the US trust the company to stay compliant with the electronic logging devices (ELD) mandate, IFTA fuel tax reporting, GPS tracking in real-time, video monitoring, and more. KeepTruckin was just named to Forbes’ List of 2018 Top 100 Cloud Companies after raising $50 million in May of 2018, which gave it a valuation of half a billion dollars at the time.